This class will teach you and your dog the skills necessary to compete in the sport of Rally Obedience. Whether you have hopes of earning titles, or you want to learn the sport just for fun, you will learn signs, courses, and training for all levels of rally within this class! Classes are designed as drop-in one hour sessions for participants brand new to the sport or seasoned competitors. This class is the perfect fit for dogs that are struggling with extra energy or boredom, and it gives you a great opportunity to practice and fine tune your clicker training skills! Dogs may also earn AKC Trick Dog titles (for no additional testing fees) within this class if owners choose! These are a unique set of classes that can be taken as single sessions, specifically to work on problems or behaviors you and your dog most need to focus on while accounting for busy schedules. ALL SKILL DRILLS require Puppy Kindergarten, Obedience 101, or the Training 101 session as a prerequisite. Sessions are offered on a rotating schedule. Preregistration is required. This can be a PREREQUISITE for most classes. In this session, you and your dog will be exposed to the science of clicker training, why it works, and how to effectively apply the methods to your dog. 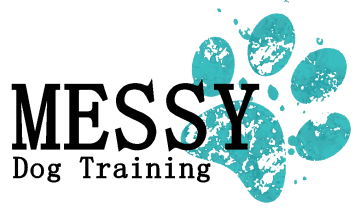 It is the foundation of what we do at MESSY and covers the same material as week 1 of Obedience 101 and Puppy Kindergarten classes. This hour of Skill Drills focuses on minor behavior issues such as barking and jumping. We also teach the dogs how to settle calmly on a mat or bed, so please bring your dog's mat/bed to this session! Within this Skill Drill we will work on teaching the dogs to walk politely on a leash as well as teaching reliable, fast recalls. These skills are important both for the dog's safety as well as your comfort and ability to take your dog places. Through impulse control exercises, including leave it, we will teach dogs how to regulate their own emotional arousal to be able to make the choice to stay calm or follow cues.